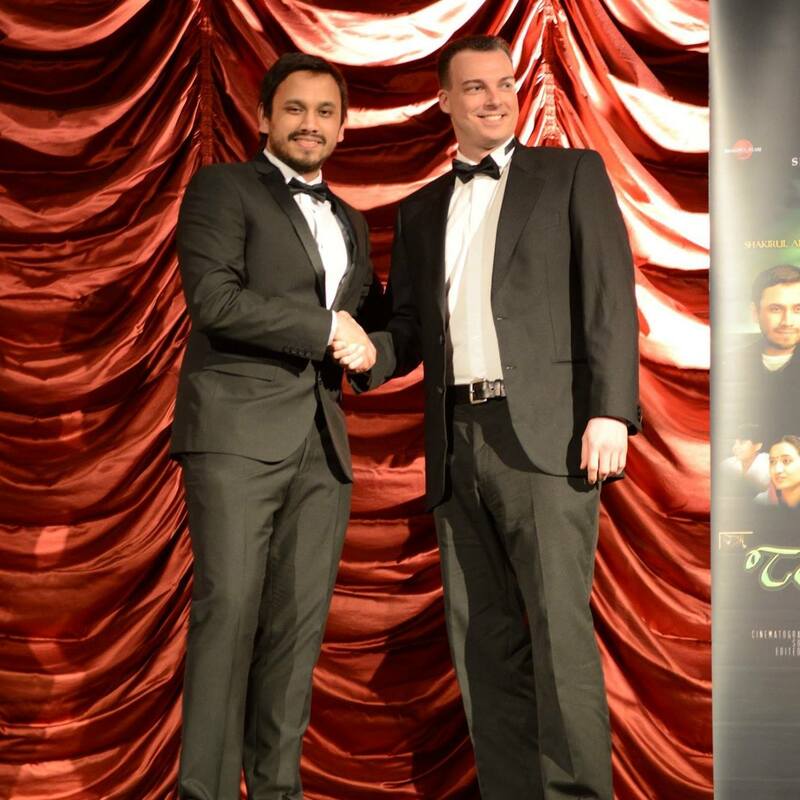 Jon was born in South Manchester (UK) and after studying for a music degree at Anglia Ruskin University (Cambridge) and a Masters degree in Composition for Film and TV at Kingston University (London), he spent six years working as an in-house composer in Malaysia. 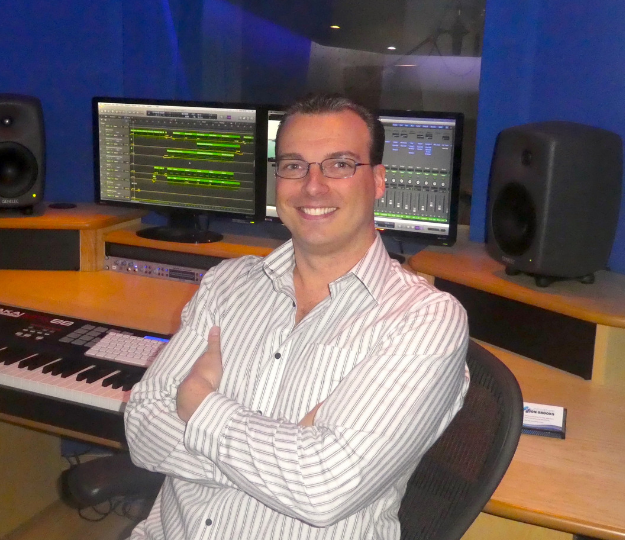 As a professional composer specialising in music production for film, TV, advertising, sonic branding, animation series and corporate videos, Jon’s passion is writing dramatic and emotive scores for film and TV. Being accomplished on piano and French horn, Jon has performed on stage with Richard Clayderman, auditioned for Nigel Martin-Smith and performed at a variety of venues including the Royal Albert Hall, Kuala Lumpur’s Twin Towers and at the Vatican, Rome. He also had the privilege of performing for the Queen in London during her Jubilee Tour. 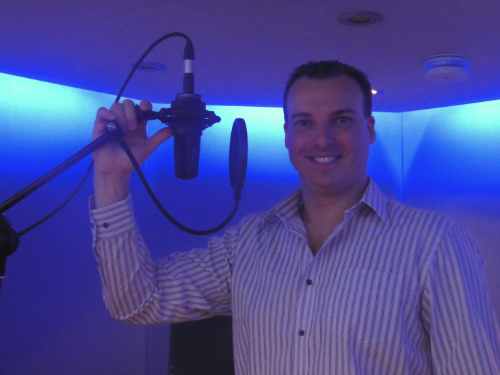 Writing from his recording studio based in Stockport, some of Jon’s clients and credits include: Walt Disney, Coca Cola, Sony Playstation, Breitling, Jaclyn Victor (Malaysian Idol winner), Cadbury’s, Oxford University Press, ‘Dark Highlands’ (dir. Mark Stirton), Pepsi, X-Box, KFC, Malaysia Airlines, ‘Teen Taal’ (dir. Shakirul Alam), Sony Music, Panasonic, Strepsils, Pantene and Toyota. Firstly, can you tell us a bit about your musical journey when you were growing up? My mum trained at The Royal Northern College of Music (RNCM) and used to teach the piano… no doubt I absorbed some of my influences even before birth! She encouraged me to learn the piano from the age of 6 and I took up the French Horn at age 8. Throughout school, college and university I was heavily involved with musical and theatrical productions. Outside of formal education I was obsessed with purchasing film and TV soundtracks. I even remember asking my first piano tutor to teach me TV theme tunes. When did you first realise that you wanted to be a film composer? Whilst composing scores for a GCSE Music module, a friend suggested that my music sounded rather like film music. That was the moment the passion hit and I realised it was the career path I wished to pursue. I knew it was going to be a long and challenging journey but I still became committed to the dream. I was also fortunate and very thankful to have the support of my parents; they helped me make it all a reality. This could end up being a very long list so I’ll just stick to a few of my favourite film, TV and classical composers. Some of my favourite composers are: Jerry Goldsmith, Gustav Mahler, Hans Zimmer, Vaughan Williams, David Arnold, Ramin Djawadi, Debbie Wiseman, Richard Strauss, Michael Kamen, Thomas Bergersen, Danny Elfman, Howard Blake, Patrick Doyle, Dmitri Shostakovich, John Williams, Bill Conti, Shirley Walker, Ennio Morricone, Alan Menken and James Newton Howard. You have an MA in Film and TV composition. What kind of modules did you enjoy most on this course? I enjoyed analysing the art of scoring to picture and absolutely loved the practical assignments. We were given commercials, excerpts of TV series and films to work on. Most of the music I composed was digitally produced, although I added a few live instruments whenever possible. Whilst composing and producing the score for an animation project, I had access to a small professional ensemble and recorded the music in sync whilst conducting at Gateway Recording Studio (now known as Visconti Studio). This was certainly a highlight of the course! When did you set up your own studio and how easy was this to do? The first studio I set up was out of sheer panic and desperation! I had just arrived in London to start my Masters degree. During the first lecture my tutors and peers were all discussing sequencers, samplers, mixing desks and a whole lot of technical jargon that was going over my head. They had recording studio equipment at university that I could use, but at that time we had to book allocated hours between us to access the facility. I came out of the lecture extremely overwhelmed and upset thinking I had failed before I’d even started the course. I called my parents and they said they would help me purchase some equipment so I could learn from my student digs. Once I’d acquired some equipment, I paid an audio technical advisor for a few hours to assist with installation and to get me started. 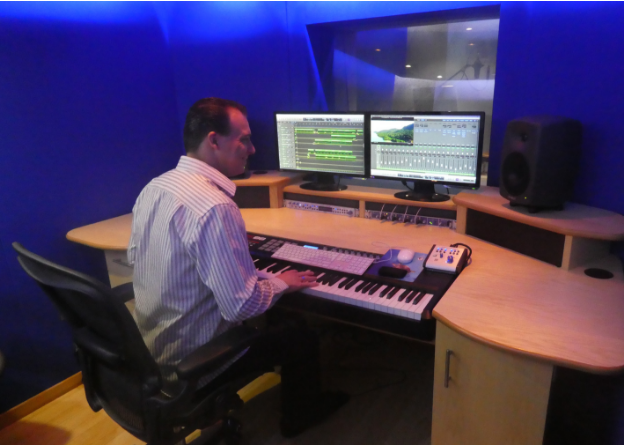 Fortunately with a good solid 16 years of professional experience, including working as an in-house composer in Malaysia for a high-end studio, I returned to the UK and set up the studio I now have in Stockport. This process took months of research, planning and design. I was confident with all the technical equipment, but needed assistance with the sound proofing, isolation and physical build so hired a specialist to help construct it to my specifications. Which is your preferred studio software for composing? I prefer to work with Logic Pro X. In the past I’ve also used Cubase, Digital Performer and Pro Tools. Do you have a favourite film genre to compose for? I don’t have a particular favourite film genre to compose for. I find it fulfilling and rewarding to express and heighten the intended emotion, drama and setting within the plot, whatever the genre. My working day is quite varied. Sometimes my hours can be all over the place dependent on deadlines and clients needs. Typically, a client will send me visuals and a brief, we would then identify the musical requirements (known as the ‘spotting session’), and I would then begin conceptualising and composing. My writing process is actually very quick, it is the recording, programming, editing, mixing and crafting of the resultant audio production that consumes the most time. I tend to compose and mix at the same time. 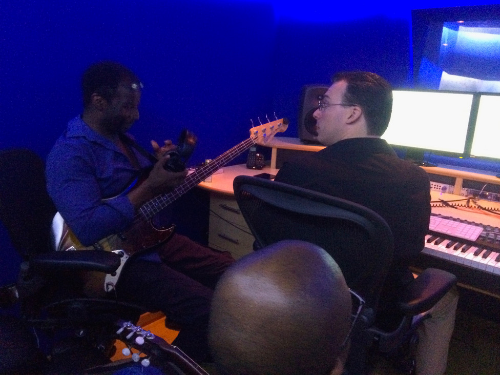 I also record, arrange, orchestrate and produce tracks with artists/instrumentalists. Sometimes I have clients booking studio time at 11pm and work with them into the early hours. If I’m not busy recording or writing to a deadline then I’m producing ‘library music’ that can be licensed ‘off the shelf’ for various media formats and productions. Not a day goes by without a bit of admin too. I am dependent on spreadsheets and am frequently registering works with my PRO (Performing Rights Organisation). I also do a lot of research to follow current trends and techniques. Expressing emotions, storytelling and heightening on-screen drama inspires me. I love synchronising music to moving image. I have always been fascinated by the mind, so being able to convey a directors vision, tap into a character’s psyche or influence an audience’s perception of what’s happening on screen is incredibly rewarding. It can be difficult to get into film composition as a profession. What tips would you give to any aspiring film composers? There are various skills and traits that need to be present and nurtured. Networking with other filmmakers and being able to sell yourself are just as important as musical ability.  Composers are often presented with a temp track already synced to the picture and asked to do a sound-a-like or music with the same mood without infringing copyright. Being able to analyse music or temp tracks and recreate a certain mood, sonic palette, orchestration and pacing is crucial to meeting such requirements. Without a temp track there are less creative limitations and more room to experiment and adopt a unique signature or musical voice. It’s a seriously challenging role all-round, highly competitive and requires perseverance and stamina. At the end of the day, it’s rewarding, fulfilling and exciting to create something that is unique. Winner of Outstanding Music Education Product!